Dermatitis, which is more commonly known as eczema, is a collection of disorders that often result in the skin being inflamed. These types of disorders can be characterized when there is an ongoing itching of the skin, layers of irritation along with a rash. There are instances of short duration where there may be tiny blisters. On the other hand, skin layers can often become thickened and long-term cases. The area that is affected can vary from a very small area of the body to completely covering a person’s body. Dermatitis is a grouping of skin issues that also includes atopic dermatitis, allergic exposure dermatitis, and irritant exposure dermatitis, not to mention stasis dermatitis. The exact cause of dermatitis is often unclear. It says are assumed to repeatedly consist of a mixture of irritation, allergy symptoms along with a week Venice return. 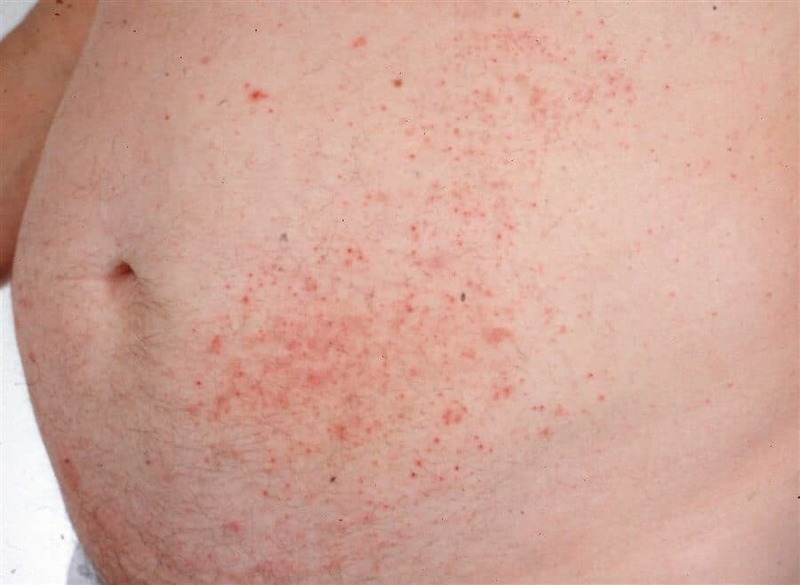 The kind of dermatitis will likely be determined by the person’s historical background along with the exact location of the affected area of the rash. Furthermore, the association between tobacco smoking and hand dermatitis has been documented. 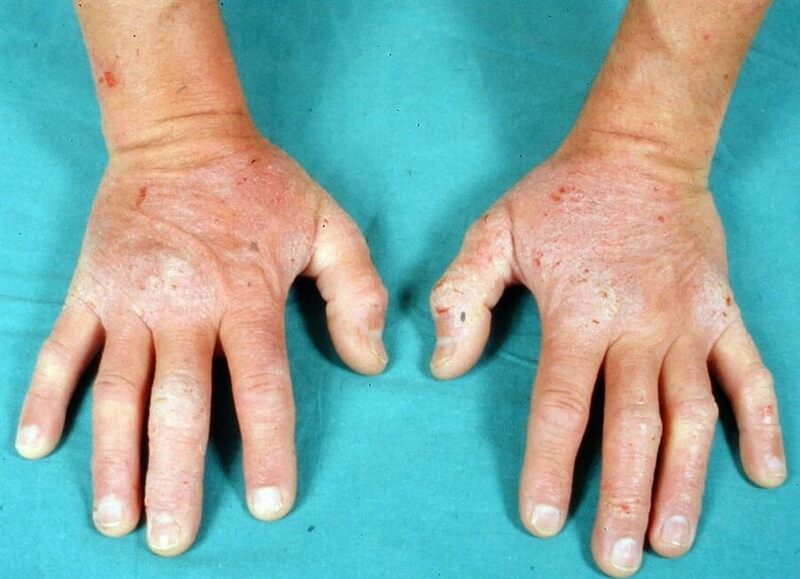 For example, irritant dermatitis often will take place on a person’s hands if they constantly get them wet. Allergic contact dermatitis, on the other hand, May present itself after a person has temporary exposure to any type of material in which they are hypersensitive. Therapy for atopic dermatitis is commonly observed by using moisturizing creams in addition to steroid creams. The steroid cream should generally be of mid-potency and be used for less than up to fourteen days at a time so that negative side effects will not occur. Antibiotics may also be required if there are significant infections to the skin. What if there are psychological aspects contributing to a person experiencing ongoing bouts of dermatitis? There is ongoing research that acknowledges how hypnotherapy can be used as a healing mechanism for a person that suffers from eczema. Researchers in the UK tested this Theory on 18 adults and 20 children that had belts of atopic dermatitis and we’re also not receiving any noticeable benefits from traditional Medical Solutions. The study took place over eighteen months and there appear to be immediate improvements once the hypnotherapy session started. Each session lasted one hour and each patient in the study had to give feedback after each session. In fact, during this time frame, ten children had reported not having to scratch at all while nine of the children also reported being able to sleep peacefully throughout the night. Kathy wanted to be treated for eczema after trying steroid treatment along with homeopathy which was unsuccessful. This 25-year-old woman had ongoing issues for exactly nine years and was at her wit’s end. It was discovered in her first session that she felt that she was overstressed in her high-pressure position at work. She felt that there had to be a solution to work through ongoing projects at work without dealing with the stress which was causing all of her palpitations. Kathy was also given the keys to employing self-hypnosis and was given the instruction to incorporate time every night before she went to bed. She could also take time out of her busy day and use the same strategies whenever she needed to. She felt that while under self-hypnosis, she felt a lot, and felt and power to control how she was feeling in the moment. She would use visual images of being at the beach where the wind was blowing and she felt the sunlight directly on her skin. Kathy reported back that she observed that the general redness that had covered her skin was minimized. She also noted that her skin no longer felt like it had an added thickness to it. She was further encouraged to keep up with the self-hypnosis and to use it as a beneficial tool whenever she felt like she was not in control of her actions. Kathy reported that she was very happy with her treatment and felt like a new person with increased confidence. Researchers concluded that using hypnosis to treat dermatitis or eczema can be quite rewarding because the results can be observed directly. As a patient’s level of confidence continues to improve, the increased likelihood that the eczema appearances will lessen. Researchers also reported that each individual should always speak with their medical doctor before taking the next steps before addressing potential psychological issues. Jennifer was a married woman in the prime of her life, but always had the nagging feeling that something was wrong. After her first session with a clinical hypnotherapist, Jennifer remembered that she could never get her father’s approval and that he continued to be abusive verbally to everyone in the household. She also remembered that growing up they went to a church that was fundamentalist and they had also a perceived value of the boys being better than their counterparts. She also recalled the death of her younger brother when she was only five years of age. The family never really talked about his death either and she felt as if she should have died instead of him. Her parents not supportive of her Scholastic Pursuits either, and she felt ostracized by them if she brought home good grades. During her sessions, she mentioned that she felt that she could not meet the expectations of her graduate school studies. She also felt that her professor was very controlling and he was a constant reminder of what her childhood was like. After her hypnotherapy sessions, Jennifer mentioned that she had a higher level of confidence and felt really good about herself. She was also able to speak about her deceased brother that she had been holding back for the majority of her life. Jennifer was able to talk about him without feeling the nagging feeling of panic that was always associated with that event. She also mentioned that she felt comfortable now in social environments like the mall without feeling panicky. As a result, the constant relaxation that she was now feeling also lessened her outbreaks of eczema along with bouts of irritable bowels. Skin disorders can be uncomfortable where a person always feels irritable and itchy skin due to dermatitis or eczema. Trips to the medical practitioner should be the first step and deal with treatment associated with any physiological issues. Afterward, uncovering mind states that tend to exist in the subconscious can be overcome by working with a licensed clinical hypnotherapist. Last updated by Mark Barrus at March 24, 2017 . ‹ Can Hypnosis Be Effectively Be Used To Treat Burn Victims?